Dr. Alysia Starkey is Chair of the Board for 2018-19. She is interim Dean and CEO at Kansas State Polytechnic in Salina. She is a native of Colby, KS and received a Bachelor of Arts in Psychology from Fort Hays State University. Dr Starkey also holds a Master’s in Information Science from the University of North Texas and a Ph.D. in Curriculum and Instruction from Kansas State University. Her professional experience in higher education includes working in libraries, continuing education, instructional technology, faculty development, assessment, and preparation for accreditation and program reviews. Dustin Pestinger is a Commercial Estimator and Project Manager for Pestinger Heating & Air Conditioning, Inc. He is a native of Salina, graduating from Sacred Heart High School in 2003, and Fort Hays State University with a degree in Health and Human Performance in 2008. Dustin moved to Boulder, CO, and graduated from the Boulder College of Massage Therapy in 2009. He worked summers at Pestinger Heating & Air Conditioning in the electrical and sheet metal departments through his high school and college years, returning to Salina in 2011 to take over the Commercial side of the company. Dustin is an active member of Ambucs, Rotary and the Salina Area Young Professionals. Frieda Mai Weis – SATC Board of Trustees Vice Chair – is the owner and CEO of PKM Steel, a global producer of heavy and intermediate structural steel for all types of industrial and commercial buildings. Frieda is active on many community boards including the Greater Salina Community Foundation and the Salina Chamber of Commerce. Frieda has a bachelor’s degree from Creighton University. 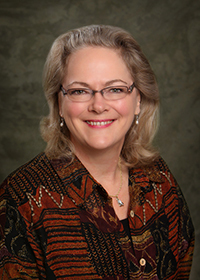 LuAnn Puvogel, RN, BSN, MBA is the CEO of Salina Surgical Hospital in Salina, Kansas. SSH is a multi-specialty surgical hospital with four operating rooms and two procedure rooms. SSH performed just under 8,000 cases in 2011. Ms. Puvogel began her career in nursing in 1980 at the former St. John’s Hospital/Salina Regional Health Center and gained valuable experience in critical care both as a staff nurse and 9 years in a leadership position. She joined Salina Surgical Hospital in 1999 as a peri-operative staff nurse. In December of 1999, she became the Director of Nurses. Then in 2009 she became the CEO. LuAnn is involved with their state organization, Physician Hospitals of Kansas as well as the national organization, Physician Hospitals of America. Locally, she is a member of the Health Care Advisory Council for Unified School District 305, and is a member of Rotary International. Todd Smith is General Manager of K-Tron in Salina. K-Tron, a manufacturer of bulk material handling and conveying systems, employs SATC graduates as design/drafters, welders, machinists, metal fabricators, painters, assemblymen, electrical technicians, and maintenance personnel. Todd graduated from Leoti, in Western Kansas. He has a Mechanical Engineering degree from K-State and an M.B.A. from Kansas Wesleyan. He was previously employed by DuPont and MAC Equipment. Todd is a board member of the Salina Area Chamber of Commerce, First United Methodist Church, and Salina Soccer Club. He is a member of the Dean’s Advisory Council at K-State Salina. He and his family have been in Salina since 1993.